As the title of the post implies, there isn't a whole lot to do in Osaka. However, I'd still recommend visiting the city because it feels authentically Japanese in a different way than other places in Japan. Osaka fulfils this idea of Japan I had in my head as this futuristic otherworld where there is colour, flashing lights and movement everywhere you look. Gone is the traditonalism of Kyoto, replaced by a new version of Japan embracing the future with its distinctly Japanese flavour. It's dirtier than other Japanese cities, as well as grungier and less restrained. It's another side to Japan and if you have time then it's worthwhile visiting. Just not for too long. Osaka is a city of food and partying. 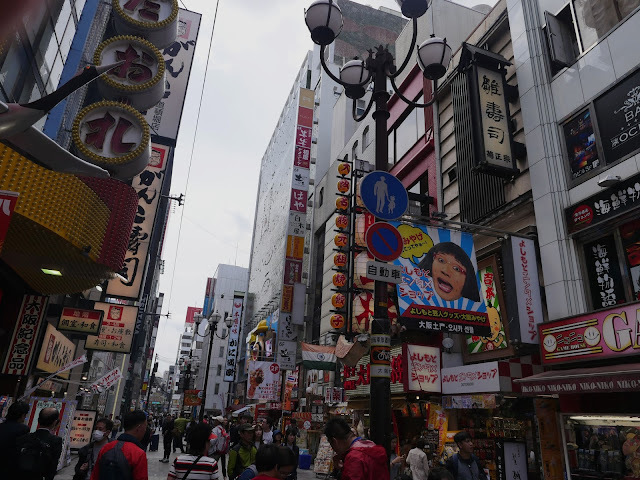 In a way it's refreshing because unlike travelling other areas where there is an infinite list of things to see, visit or do, Osaka is just a place you're in. Despite the ebb and flow of people constantly moving, Osaka is a pitstop. It's a place where you can take a day or two to indulge in food as the main destination and bars as the dessert without feeling like you're missing out. So, you ask, what's there to do in Osaka? But here's a guide to help you figure out how to spend your time there anyway. 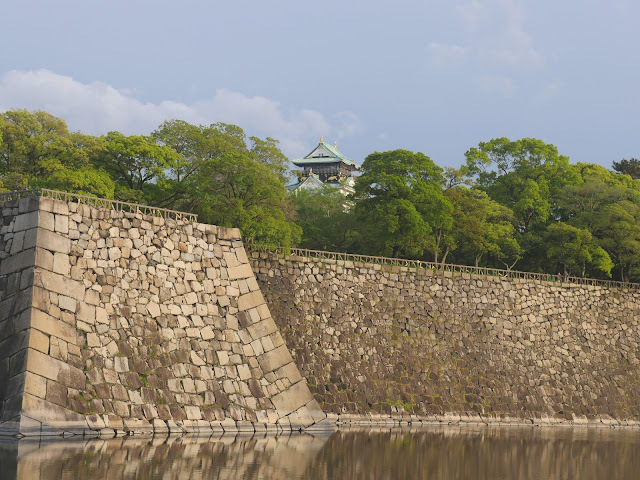 I stayed two and a half days in Osaka, which in my opinion was more than enough. 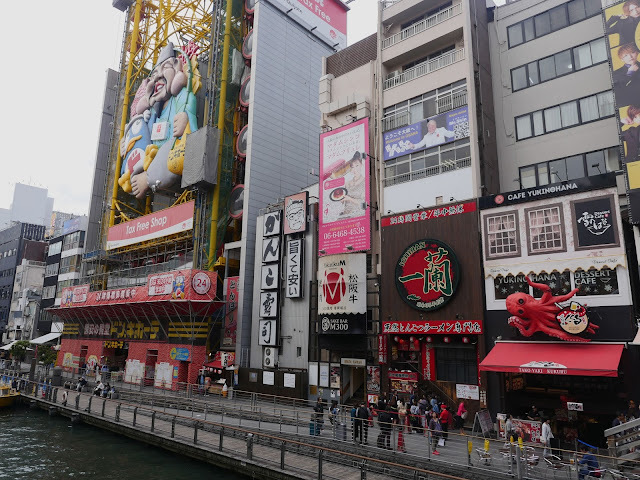 The main strip by the Dotonburi Canal is in one word, crazy. Not only is it crazy, it's also cool, colourful, manic, confusing and trippy. Cue any other adjectives of that kind. My photos don't do it justice, it's mesmerising. It's probably nice inside too but the exterior of the castle peeking out from its fort was enough for me. 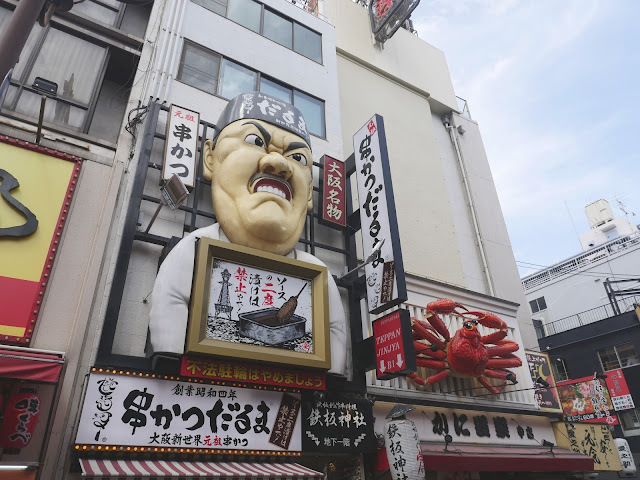 Japan has good markets, and Kuromon market close to the centre of Osaka is no exception. 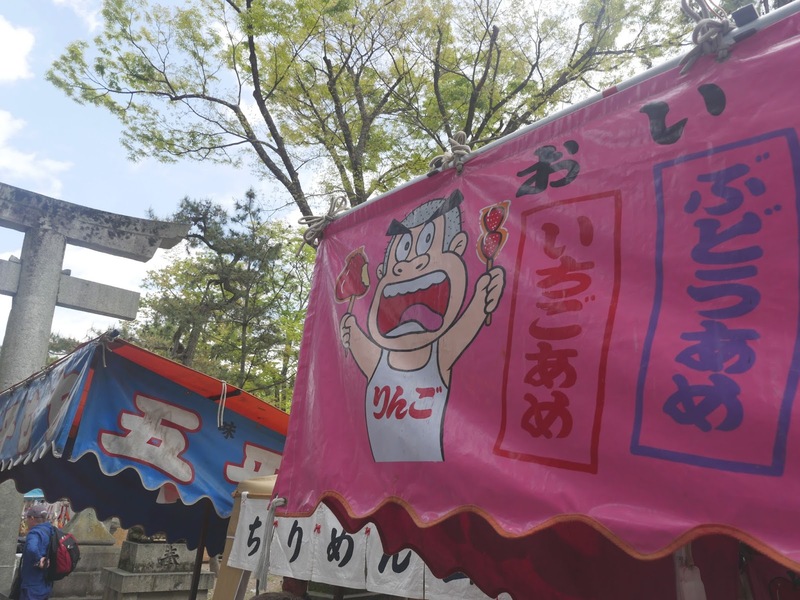 Kuromon market has plenty of street food to try as well as restaurants and souvenirs. 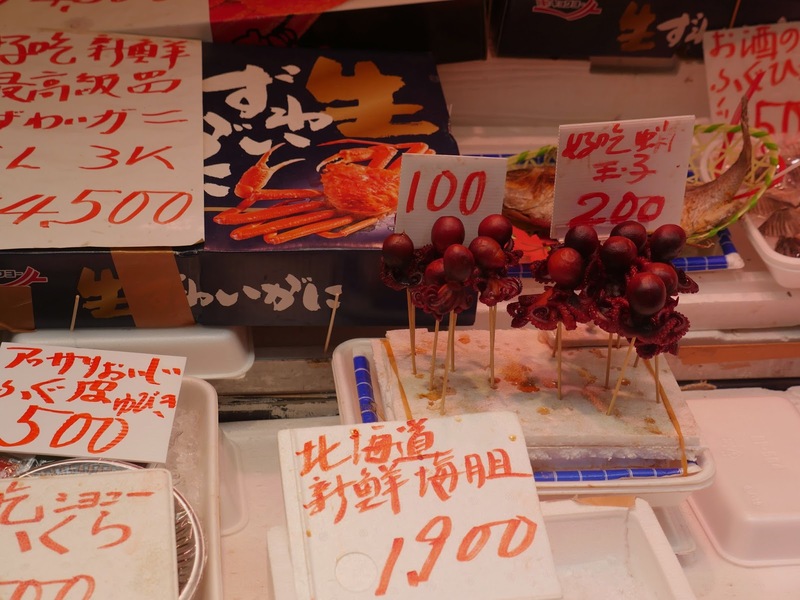 It's a good place to try new authentic food, and seemed like it catered to locals rather than tourists like the main market in Tokyo, Tsukiji fish market. I coincided my dates staying in Osaka with this market and it was a wise desicison. 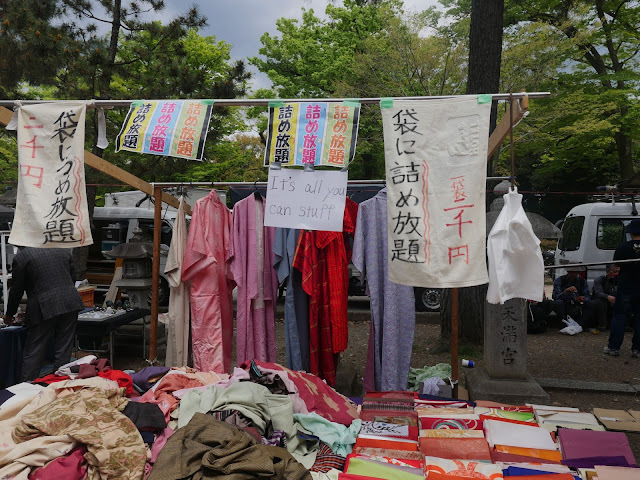 Kimonos everywhere, antiques, second hand clothing and random nic nacs. The market goes on for ages, twisting around the venue. There's even a shrine if you want to satisfy your daily Japan shrine dose. I was able to get a kimono for 500yen (around $5). They also serve plenty of food, such as Osaka style Okonomiyaki. We were luckily enough to stumble upon this place, and it salvaged what could have been a very average night. It's a small bar up a few floors, but it's not too hard to find. The bartender who runs the place is lovely and genuinely cares about his guests having a good time. It is homely and cosy, not something you would typically associate with a karaoke bar, but somehow Kama Sutra Karaoke Bar achieves this. Everything at the bar is 50o yen (around $5). It's a bar for tourists so it's hardly authentic, but its cheap, you can order in english and the cocktails are delicious. Stumbled on this gem because it was close to my hostel. Sells cute cat themed post cards, glass blown clip on earrings among other Japanese trinkets. It's just a chain store and it's available in every main city in Japan. Usually a level devoted to vintage and has very on trend clothing. There are vintage stores dotted around everywhere. I remember a lot of them being around America-Mura but I didn't note them down! 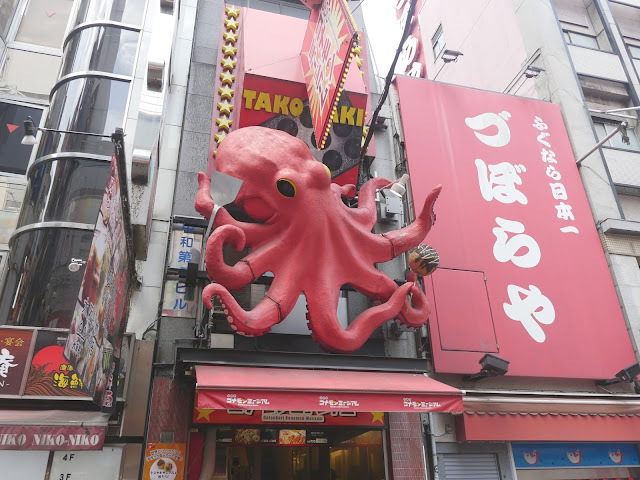 I hope you enjoyed this short guide to Osaka. If you get really bored theres an Instant Ramen Museum 45 minutes away or Nara less than a hour away via train to go see some deer. I've also written guides about Kyoto, Tokyo, Miyajima, Hiroshima and Naoshima.